The image above was painted by the talented local artist, Mik Richardson on the side of one of our skips. The original artwork was commissioned to coincide with the GoGoHares sculpture trail in Norwich last year, but when we were looking for a photograph for this Easter blog post, we thought the bunny theme was appropriate. (Please don't write in, we know that bunnies are rabbits not hares). Mik's done loads of painted skips for us over the years, and all of our painted skips are working skips. 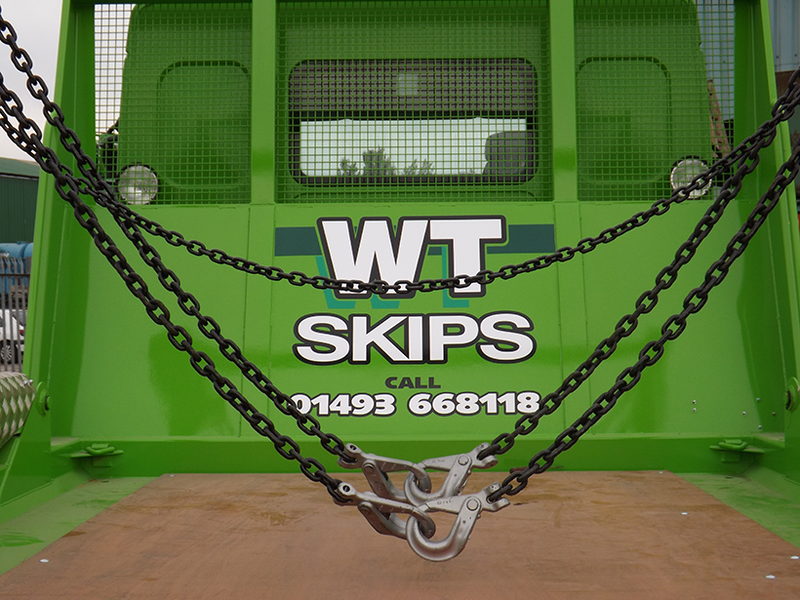 When you book a skip from WT Skip Hire, you might get a work of art delivered to your driveway! What’s not to love about a four-day weekend? The Easter bank holiday gives workers a chance to relax, catch up with friends and family and still have time to get the garden sorted or do some spring cleaning. It’s these last two that make the period around Easter a busy time in the skip business. We’re encouraging people to book early to avoid disappointment as our delivery and collection slots are filling up fast. If you contact us while we are closed, leave a message including your contact details and a member of our team will get back to you when we return to work on Tuesday 23rd April. For regular company news and updates, follow us on Facebook and Twitter.